Jussie Smollett’s legal defense team has to do three things to save him from conviction: Discredit the main witnesses against him, rebut the police theory that he staged a hoax to get a raise, and explain a $3,500 check. That’s the summation from defense attorneys who spoke with TheWrap — and Mark Geragos, one of Smollett’s legal advisers, has already signaled that he agrees, at least in part. Police suggested they had an open-and-shut case against Smollett when they charged him last week with filing a false police report. But there are several ways Smollett can try to convince a jury he’s been wrongly accused. 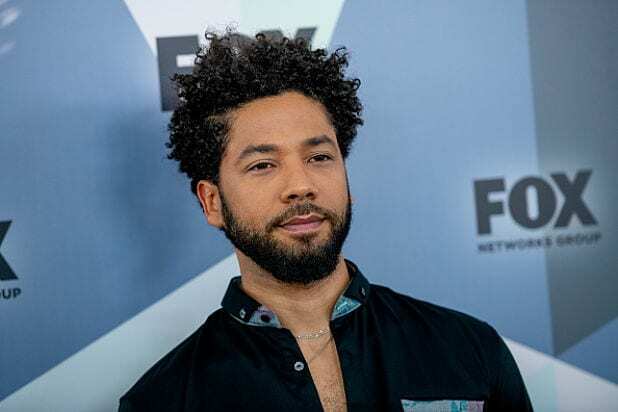 Last week, police said Smollett, a star of Fox’s “Empire,” had actually hired brothers Abimbola “Abel” and Olabinjo “Ola” Osundairo, to attack him, and then reported it as a crime in order to get a salary increase. Everyone agrees that Smollett had ties to the brothers, both of whom are weightlifters. Ola Osundairo appeared on “Empire.” ABC News said Smollett wrote Abel Osundairo a check for $3,500. Police say it was to pay for the attack, but the check says it was for training and a nutrition plan. The pair were first arrested and questioned by police as persons of interest. But after 48 hours, police released them without filing charges, saying “new evidence” had emerged. Police filed charges against Smollett soon after. Geragos raised questions on his “Reasonable Doubt” podcast about what happened while the brothers were in custody. A person with knowledge of internal discussions among Smollett’s defense team told TheWrap that they believe the brothers made a last-minute deal to avoid charges. Gloria Schmidt, an attorney for the brothers, did not immediately respond to a request for comment. Geragos said police had a stronger case against the brothers than against Smollett. “I have not seen anything that supports this idea or the narrative that they put out there that he was in cahoots with anyone. They have a whale of a case against the two guys — the two brothers — but that’s it,” he said. Los Angeles-based criminal defense attorney Lou Shapiro, who is not involved in the case, said Smollett’s team can argue that any deal casts doubt on the brothers’ credibility. As TheWrap previously reported, Smollett was making around $125,000 per episode on “Empire” and there had been no salary dispute between the actor and the show. Several people told TheWrap that Smollett had never sought a raise. Geragos believes police assigned salary as a motive because it seems so “inexplicable” that Smollett would stage an attack on himself. Another potential play for the defense: Go after Johnson. A person privy to internal discussions among Smollett’s legal team said Johnson may have been playing to the cameras to protect his own job, which could be in danger if Toni Preckwinkle wins a runoff to become the next mayor of Chicago. In December, the Chicago Sun Times wrote that “Police Supt. Eddie Johnson will be looking for a new job or living off his police pension” in the event of a Preckwinkle victory. Preckwinkle told the paper that Johnson’s force has a “code of silence,” and cited what she believes were cover-ups in the police shooting of 17-year-old Laquan McDonald. Shapiro said there could be several ways for Smollett to explain why he wrote Abel Osundairo the $3,500 check. “He has to explain the check, he has to give what they call a plausible factual scenario for why he wrote that check,” he said. ABC News also published text messages it said were between Smollett and one of the brothers, whom he called “Bon,” in which the two discussed exercise and meal regimens. Meghan Blanco, another California-based criminal defense attorney not involved in the case, told TheWrap that Smollett’s team should seize on the shifting explanations for the check. Blanco said the shifting details surrounding the case wouldn’t hurt Smollett, because people who are traumatized often make errors under pressure. “I expect that in the weeks and months to come, his attorneys are going to be able to piece together the information that was relayed to law enforcement in a way that makes sense and is consistent with their firm belief that the two men attacked him and that Jussie was the victim in this case,” she said.